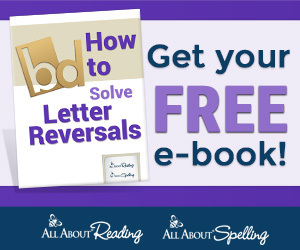 It has been so cold here this winter, so ridiculously cold! 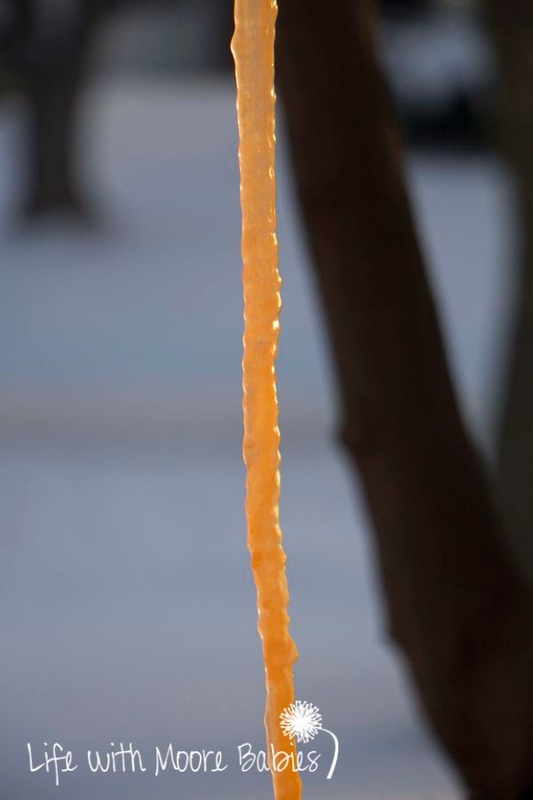 But it gave me a chance to try making some of these awesome Colored Icicles from Housing a Forest! 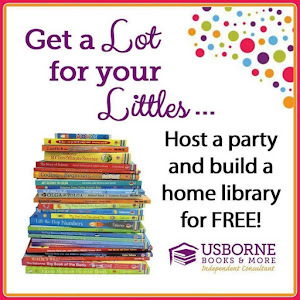 Hop over and see how she made hers because mine are a little different! 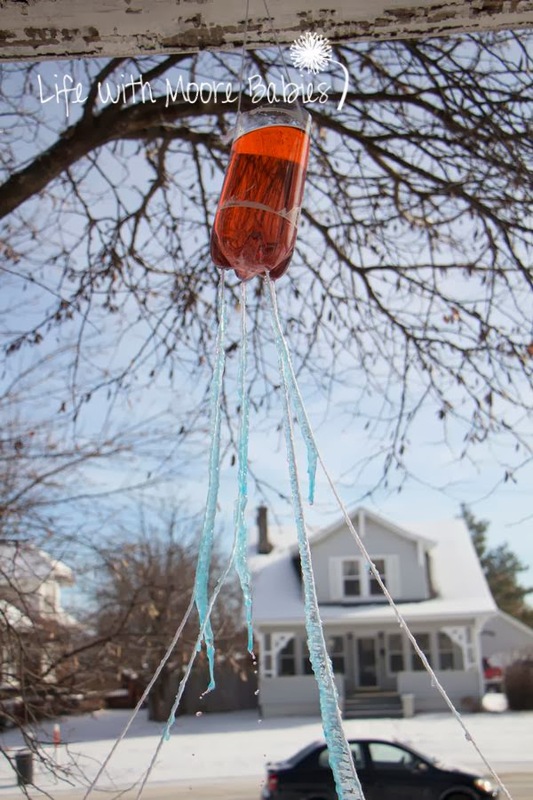 I used a 2 liter pop bottle and yarn which I hung from a nail on my porch. 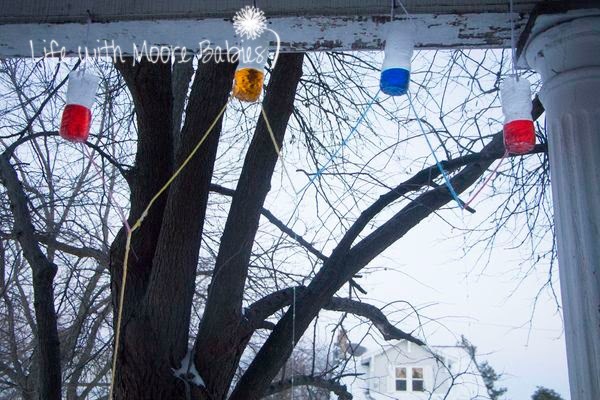 My first set up was somewhat similar to Tammy's, but I did not have my yarn going straight down and instead tied it to the sides of the porch. 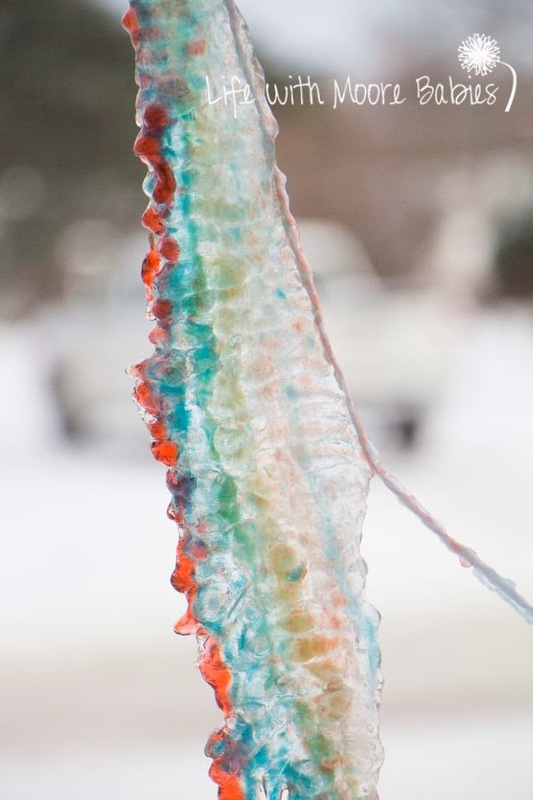 I quickly learned this did not work as well because once the icicles came to the curve in the yarn they just formed long icicles instead on building on the yarn. I still change the colors frequently, and I still got some colorful icicles. Then I started thinking and wondering what would happen if I froze multiple colors together at the same time. Would they mix to form new colors? 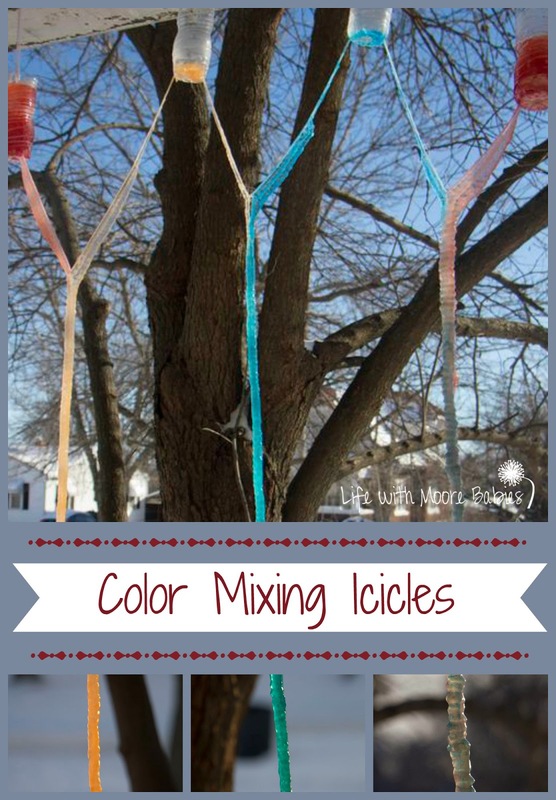 Which is when I set up this to try and form some Color Mixing Icicles! I had 4 small water bottle with yarn going between the bottles. 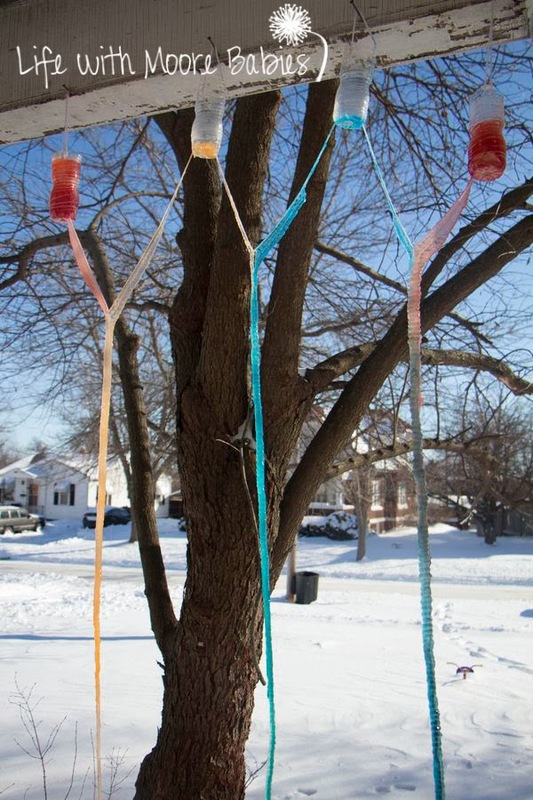 I had already learned that the ice would not continue through a curve, so I used thread to tie the center of the yarn to the porch which straightened it allowing the water to run down and freeze all the way down! Then I added colored water in all the primary colors. 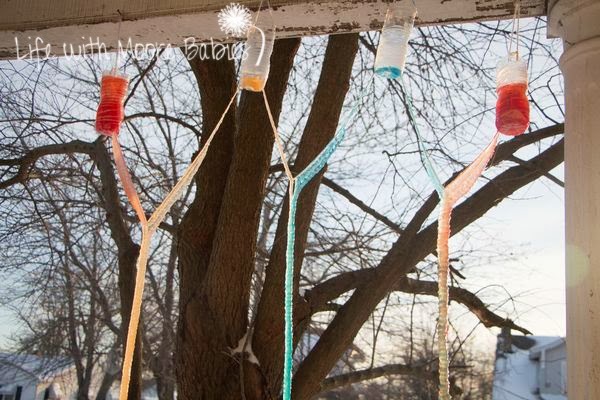 I also made sure to run my finger along each piece of yarn with the water to help guide it down. 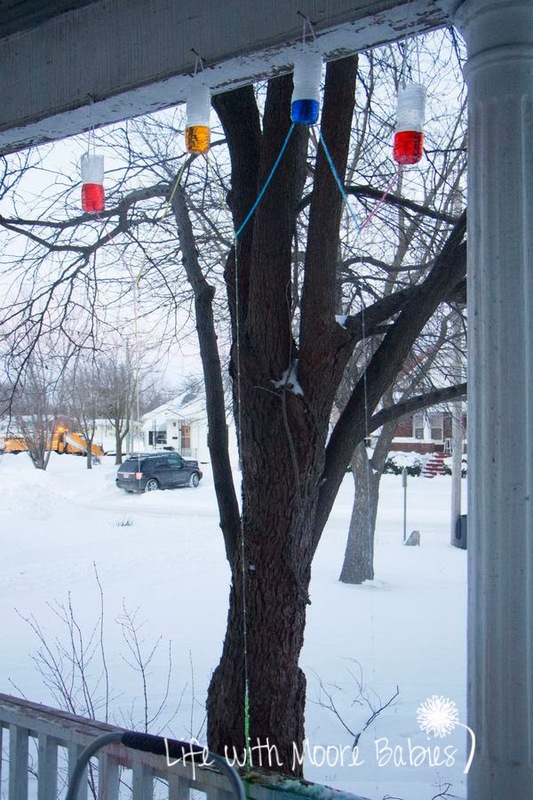 I started this later in the afternoon, so I could only see the very beginning of each icicle. I did fill the water bottles a couple times before bed, but it was hard to see how things were turning out in the dark. 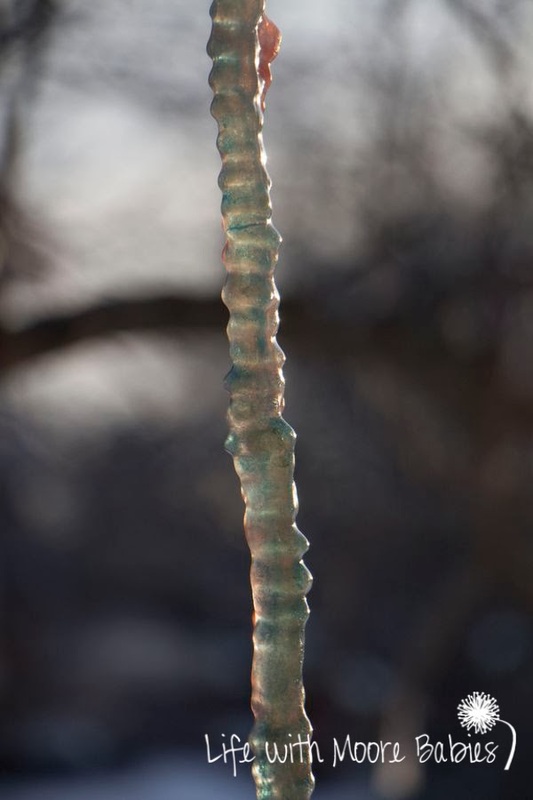 It was bitterly cold over night, so some of the water froze in the bottles, but this is what I woke up to! 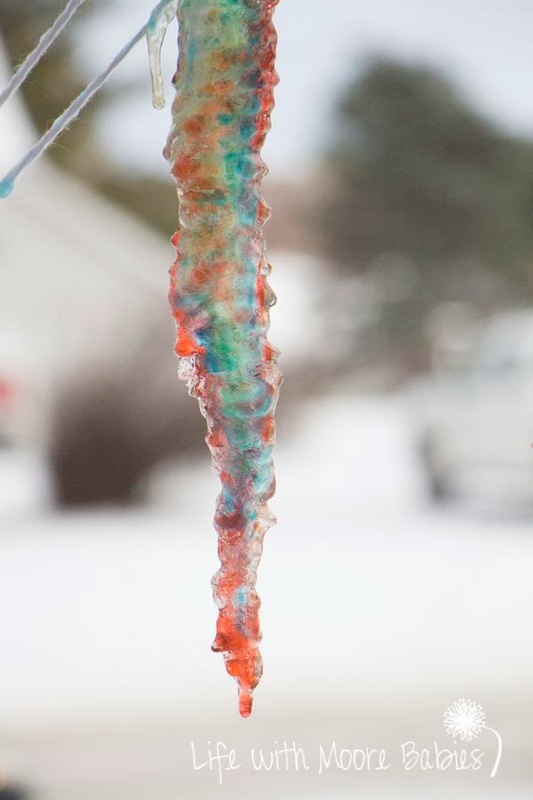 You can definitely tell when one color was flowing and the other was not, but if you look closely at the icicles you can find the secondary colors in them. 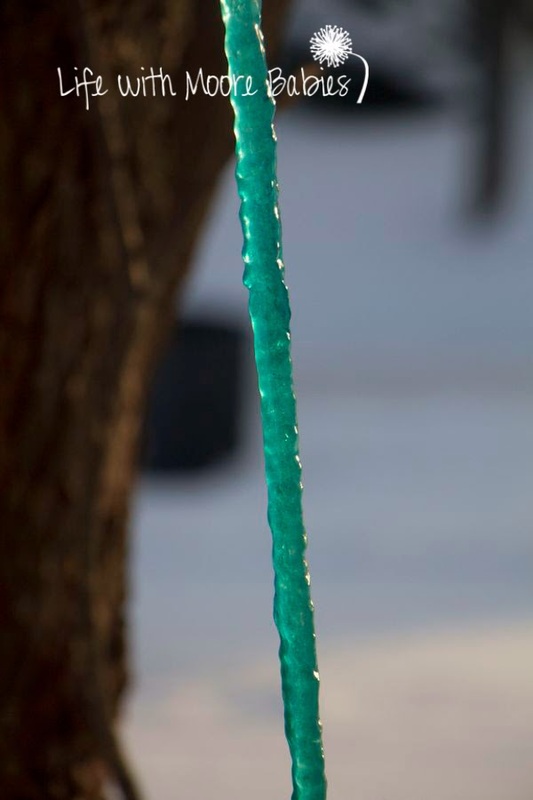 Here is a close up of the mixed color icicles! The girls were amazed by our color mixing icicles, and they reinforced the color mixtures they had already learned (red + yellow = orange, yellow + blue = green, and red + blue = purple). I was quite pleased with how it worked out; definitely a cool way to explore color.